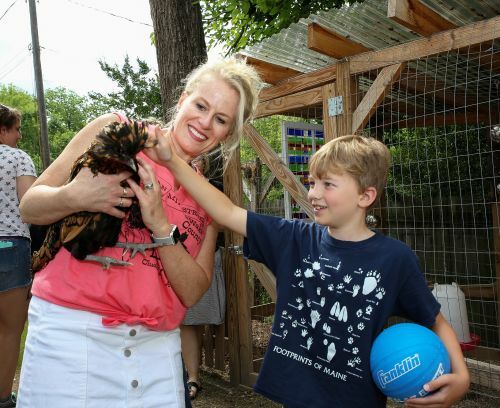 Started in 2005 as a way for a few neighbors to show off their hens and coops, the Henside the Beltline Tour D’Coop has grown to a one-day garden tour that encompasses 20 coops and thousands of visitors. The event raises non-perishable food and money for Urban Ministries, a Raleigh-based non-profit that provides essential services to close to 20,000 Triangle residents each year. Coop owners and the tour organizers volunteer their time to promote back yard poultry and urban farming.